I have never seen or experienced any of the ancient or new Seven Wonders of the World. Majestic sites such as the Great Pyramid of Giza, the Roman Coliseum and Taj Mahal have existed only in print or media forms for me, until now that is. This month, I was elated to finally visit one of the "official" New Seven Wonders of the World, Chichén Itzá (fig. 1). This ancient archaeological site, located in Mexico's Yucatán peninsula, was built by the Maya more than 1,000 years ago. 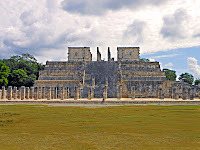 It is a city of ruins, with massive temples, columns and even a pyramid dotting its landscape. 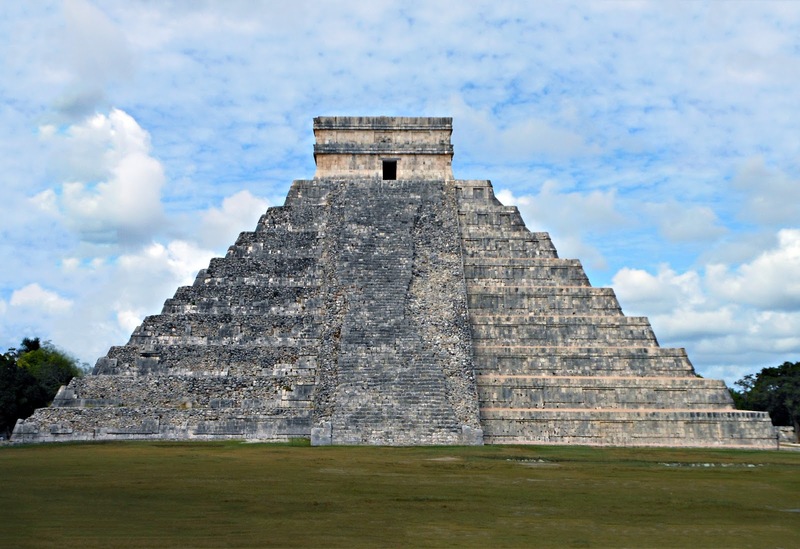 Chichén Itzá's focal point is its central pyramid, El Castillo (fig. 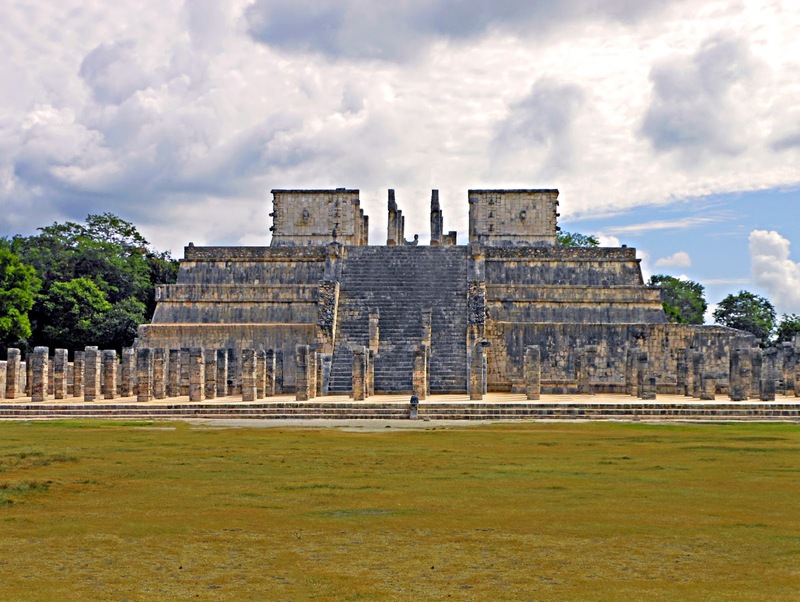 2), which is a monumental step-pyramid that served dual purposes: both as a temple to the god Kukulkan (meaning plumed serpent), and possibly, as a calendar (Chichén Itzá tour, 2012). Each of the structure's four stairways contains 91 steps. When including the pyramid's top platform as an additional step, El Castillo has 365 steps, equivalent to the number of days in the calendar year - I'm convinced that this was no accident. I found Chichén Itzá to be full of mystique. It was breathtaking in its size, scope and beauty. When combined with the sight of vendors, some dressed in traditional garb, crafting and selling original Maya art along the pathways, I felt like I was transported to another place and time; one that I was only partially familiar with as a result of my children's repeated viewings of Dreamwork's Road to El Dorado.